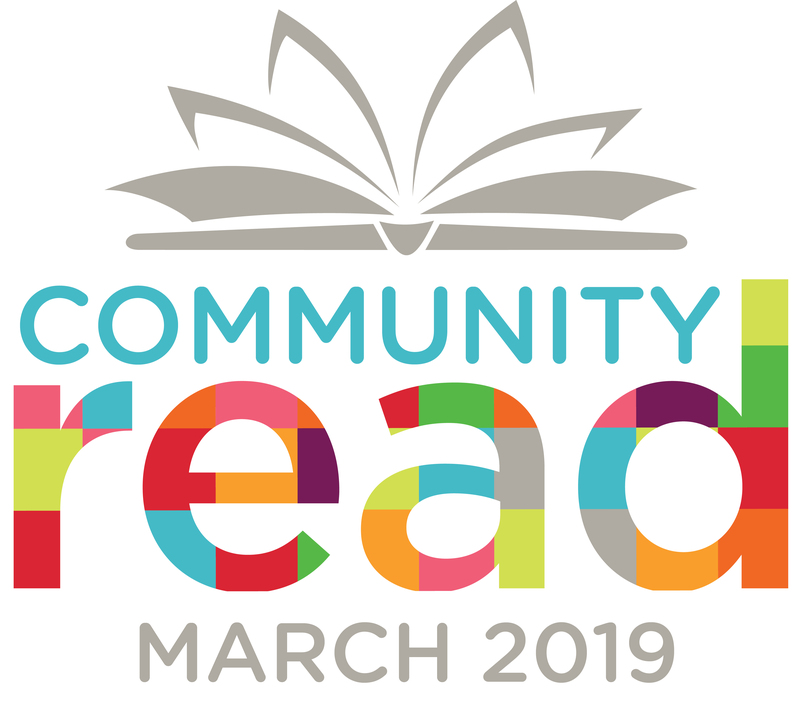 Throughout March, our community came together around books. This year’s featured titles, The Hate U Give by Angie Thomas, Wishtree by Katherine Applegate, and Love by Matt de la Peña provided readers of all ages opportunities to discuss important themes of compassion, perspective and understanding. 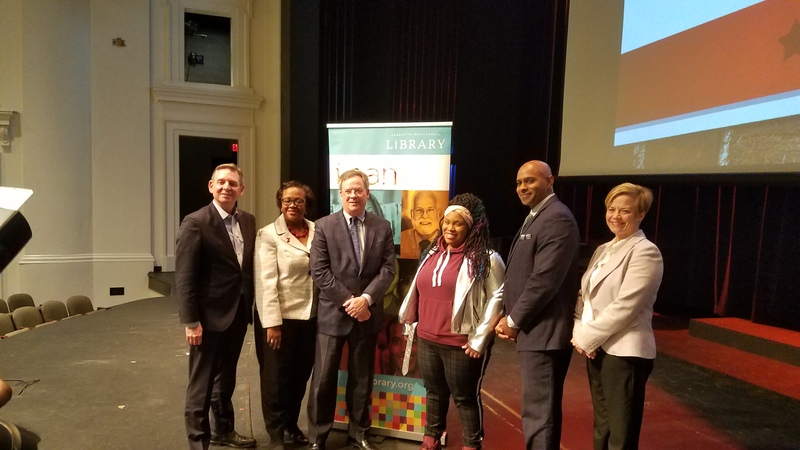 With the support of presenting sponsor Bank of America and additional funding from Foundation For The Carolinas and your Library Foundation, over 2,500 copies of The Hate U Give were distributed throughout the community. 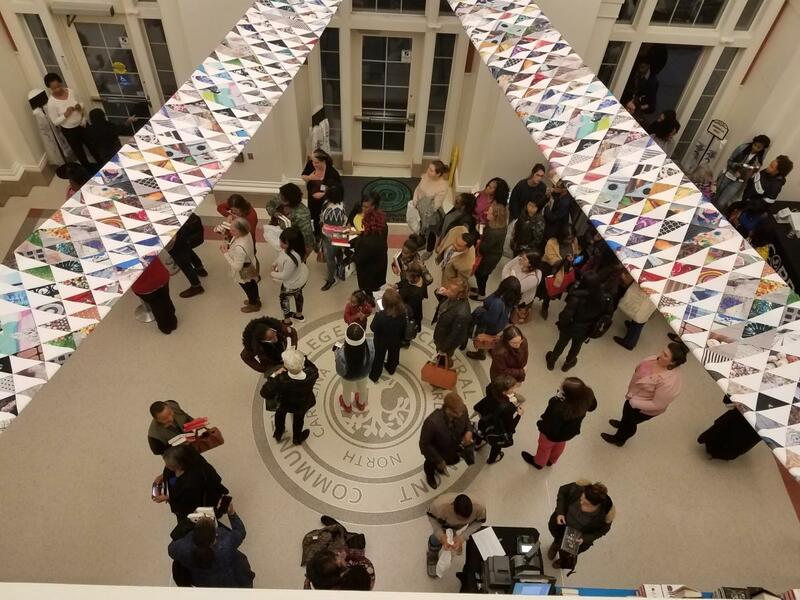 More than 200 programs and events were offered at Library and partner locations - including book talks, film viewings and talkback panels, tree plantings, art projects, discussions with police, city and county officials, teenagers, educators, and much more. What are people saying about Community Read? Thank you for all the work you have done with the Community Read program. The program was very successful at Johnson C. Smith University. It was good to have the community in collaboration with JCSU's students, faculty and staff engage in this conversation. I extend appreciation to Toussaint Romain for his outstanding and passionate presentation that left all of us thinking about how we can do more in our communities. Thank you. The event last night at JCSU was s blast. Full house too. Many thanks to CMPD and the Charlotte Mecklenburg Library for allowing the Mayor’s Mentoring Alliance to join this community conversation. There were many familiar faces in the audience as we had a good deal of mentoring agency representatives attend. Hopefully, we laid the foundation for more of these types of conversations to take place! Glad to work with each of you! Thank you for inviting CPCC to be a part of the event last night. It was a phenomenal program. My mentoring group would also like to thank CML for bringing this author and treating them with honor. We read the book earlier this year as a group, so they could connect the dots. Also allowing them to be seated before everyone else made them feel very special. Thanks to everyone on your team who worked tireless to make this event a success. 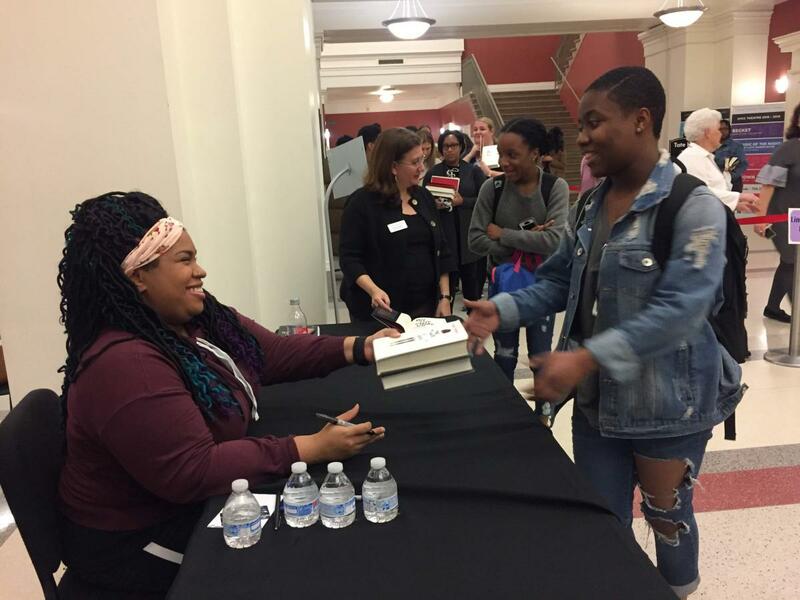 There were many highlights to this year’s Community Read, including inspirational visits from authors Angie Thomas and Matt de la Peña. Both discussed writing as a form of activism – an opportunity to encourage empathy and start discussion. 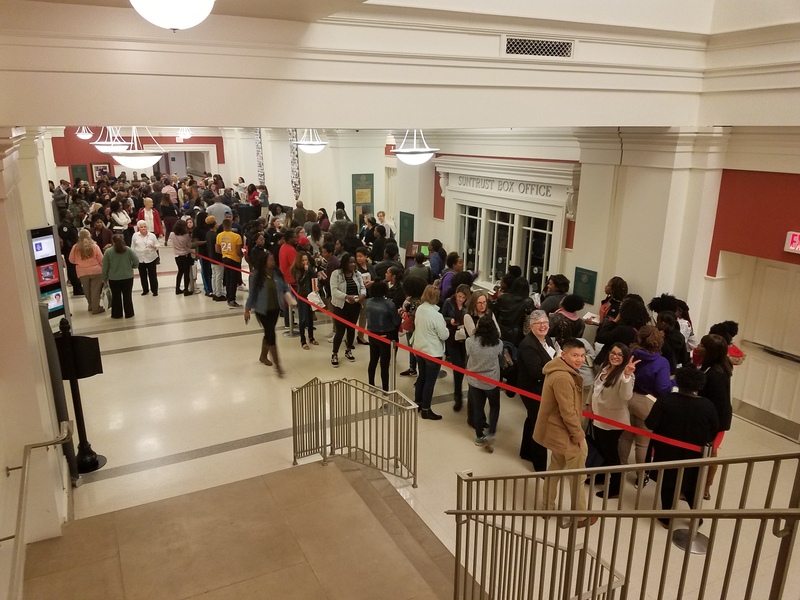 Just like Community Read 2019. 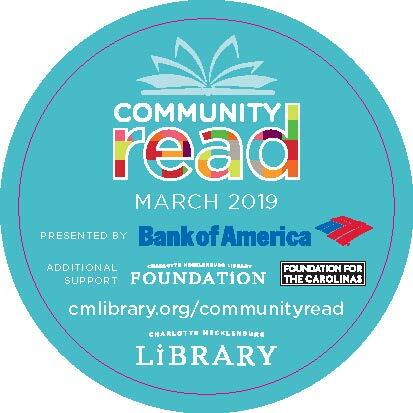 Did you participate in Community Read 2019?